Get to know Richmond through the lens of its public art. Join Bike and Brunch Tours for a ride through neighborhoods steeped in culture and history with the work of Hamilton Glass as our guide and black history and culture as our focus. This ride includes landmarks and art projects from an array of public art projects and glances at monuments, campuses, and gathering spots from the City Center, to Jackson Ward, the Arts District and the Fan, and Highland Park. All of these stops offer a reminder of the history, culture, and legacies at the heart of Richmond. 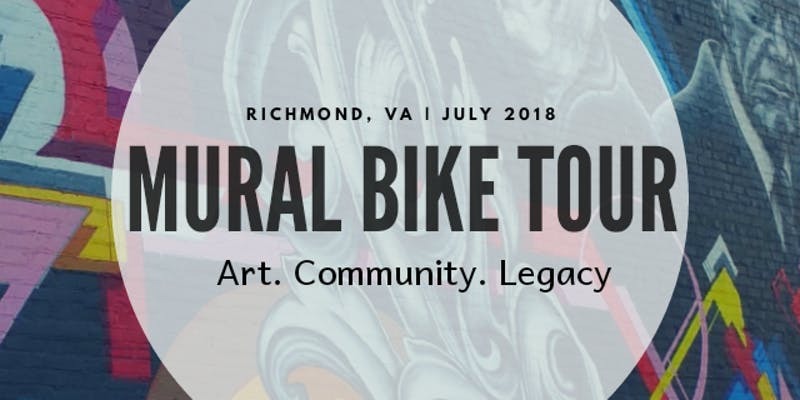 This one of a kind, easy pace, casual tour aims to exude positive vibes, treat our communities and the residents with respect, and nourish the mind and belly. Ride, see Richmond, have fun….and of course have brunch! Buy tickets through link below.